Seller's notes: A really reluctant sale due to lack of space. 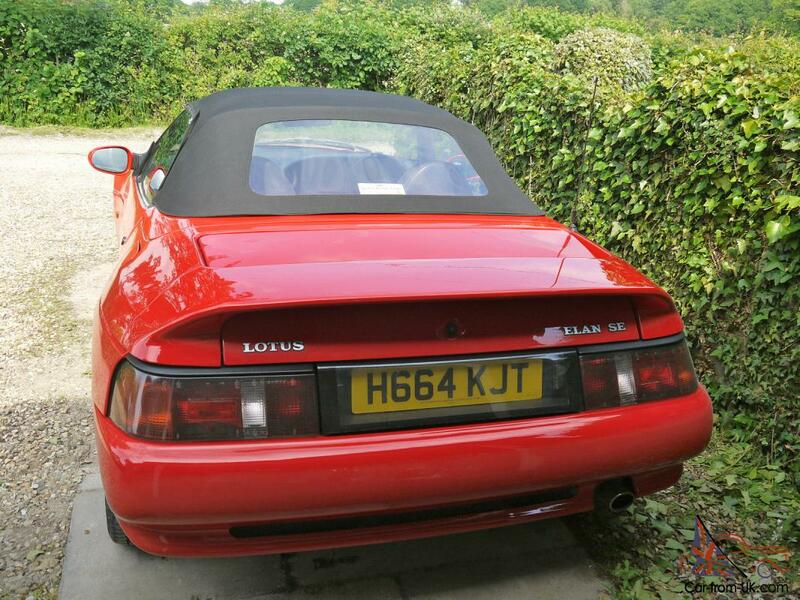 For Auction a Really Nice Very Low Mileage Lotus Elan SE Turbo. 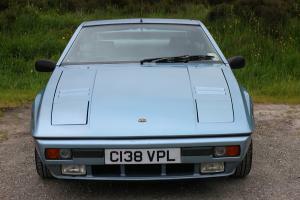 As you can see from the photographs this is a really special Lotus covering only just 18. 00 genuine miles. 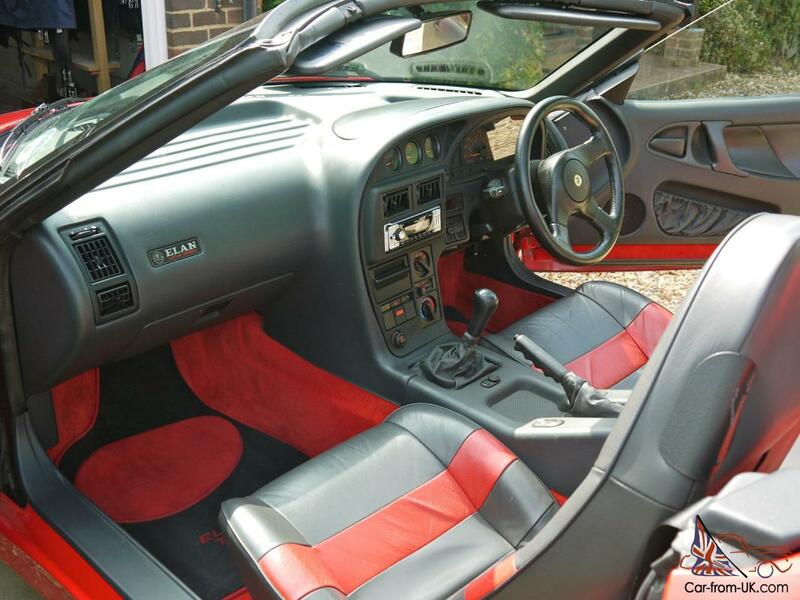 It is completely unmarked in the desirable Calypso Red paintwork. In fact it has only covered 6000 miles over the last nine years. 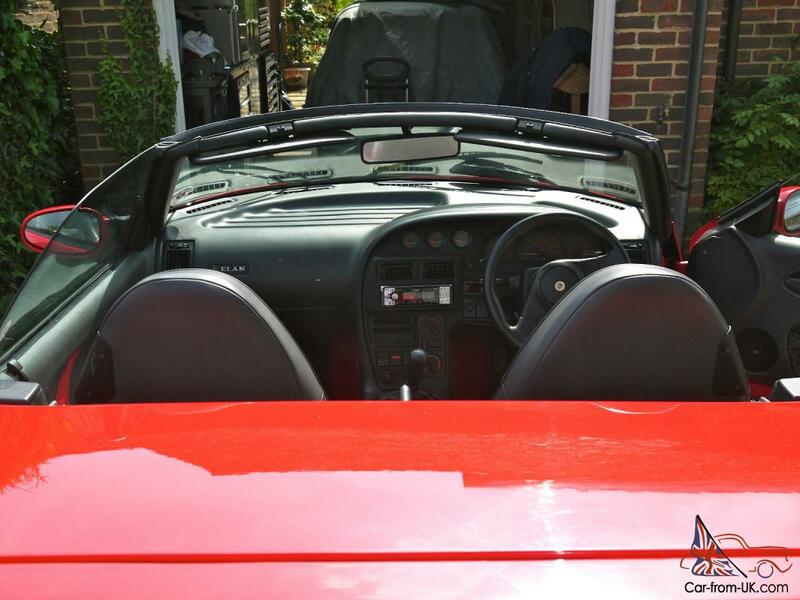 So why not take advantage of the coming summer to enjoy some Classic car motoring in the sunshine with the roof down. 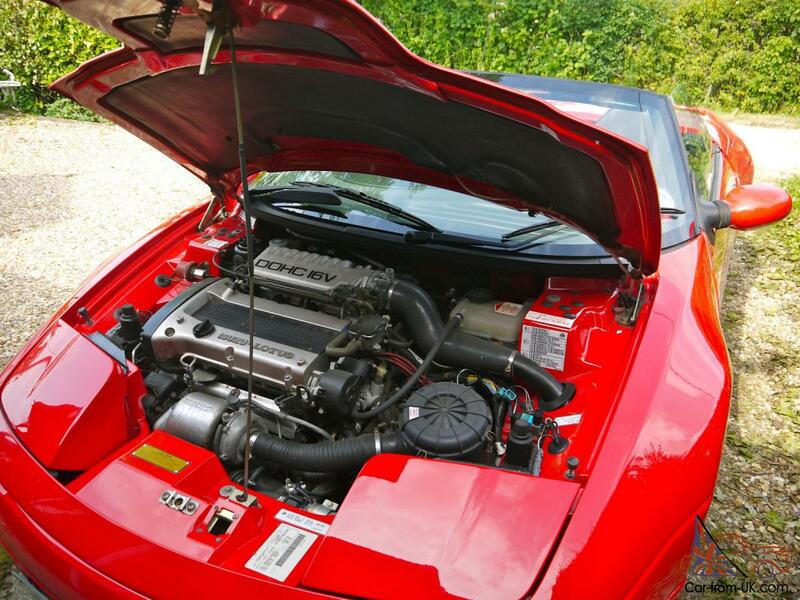 This car has just sailed through an MOT test with no advisories whatsoever. 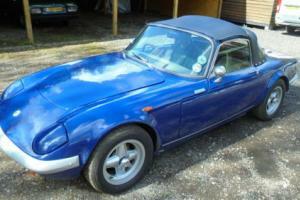 I have a host of information on the Elan including every MOT certificate since new along with all the old bills for servicing and repairs. It's had three local owners before I bought it last year. The hood is in great condition with no tears or wear. 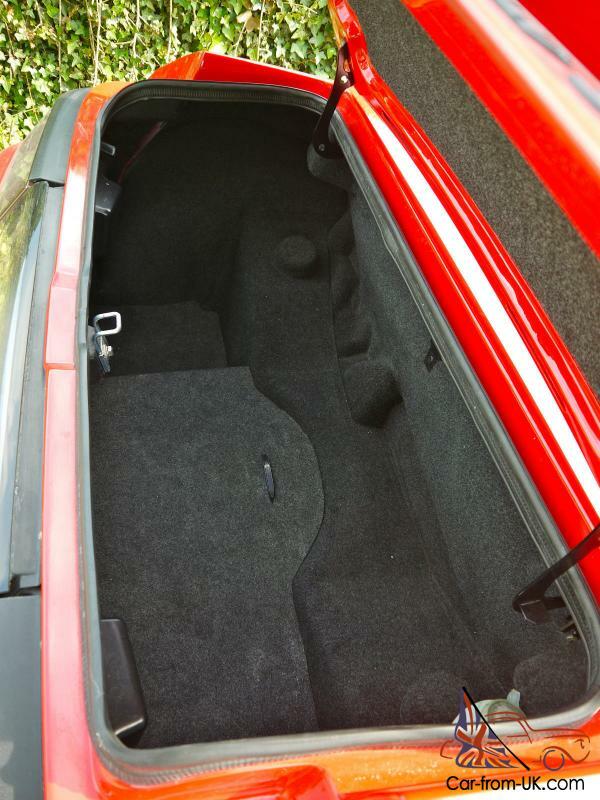 It has the desirable black and red leather trim with colour keyed carpets which are all in lovely order for a car this age. It's even got the original boxed tool kit. fully intact and never used. The engine has a nice throaty note from the stainless steel competition exhaust with no Catalytic converter to stifle the power. (Luckily. this Elan was too early a model for the Catalytic omission restrictions). The performance from the 165 BHP turbo engine is spritely and no slouch. keeping up with most of the new sports models these days. It's got a really nice set of OZ Lotus wheels fitted with Dunlop Sport 9000 205/50 R15 giving a real great sports car experience grip and tight ride. When new this Elan with the extra's fitted retailed at over £21. 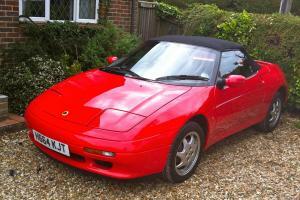 00 in 1990. nbsp;double what the then rival MX-5 cost at the time. Although it's now a 24 year old car it's was quite advanced for the time with electric windows. power mirrors. ower steering. remote central locking. alarm and immobiliser etc. Since I took these photographs I've had a nice new Alpine ipod bluetooth stereo head unit professionally installed in the dash. The new head unit blends in well with the black and red trim on the dash. delivering quality sound through the additional extra four speaker system. Although. 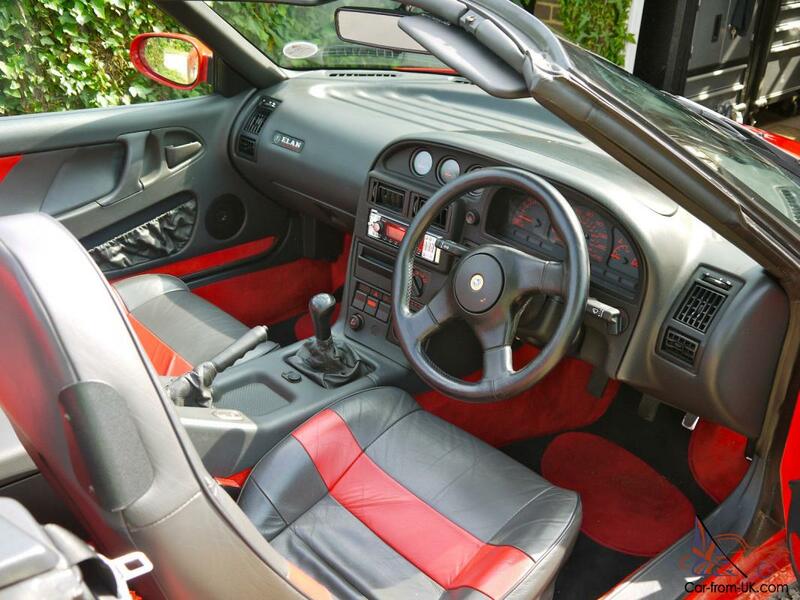 I still have the original Blaukpunt Premium Sound System with RDS stereo that the car was supplied with from new that can be refitted for the Lotus purist. 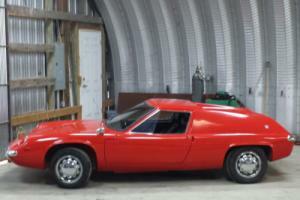 Since I've owned the Elan I've needed to do very little to it with the exception of a new battery. 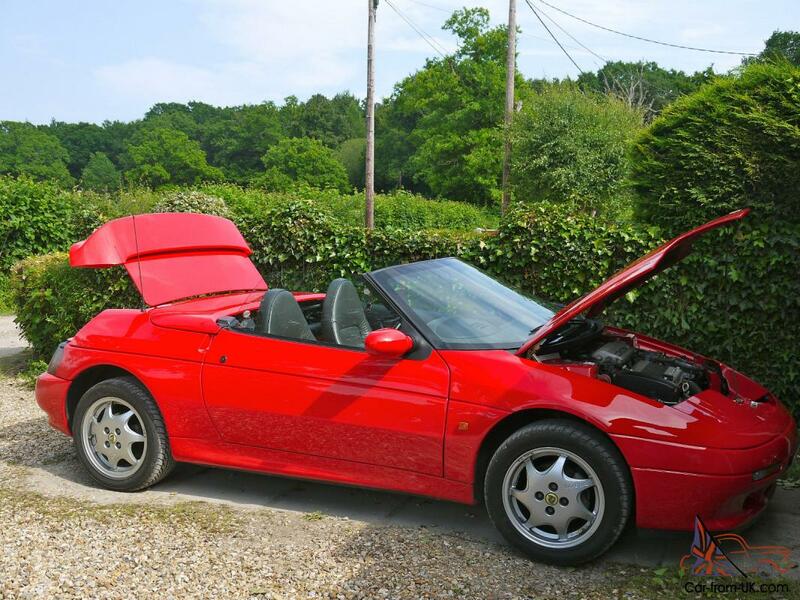 I got the oil and filter changed when the MOT was carried out recently on 22nd April. The only reason that I'm prepared to let the Elan go is due a combination of a now lack of garage space and really a lack of use. 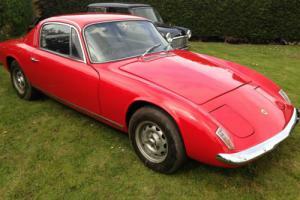 I'm going to use the funds from this Elan and add them with to another future classic car sale of mine to finance just one Classic car venture. 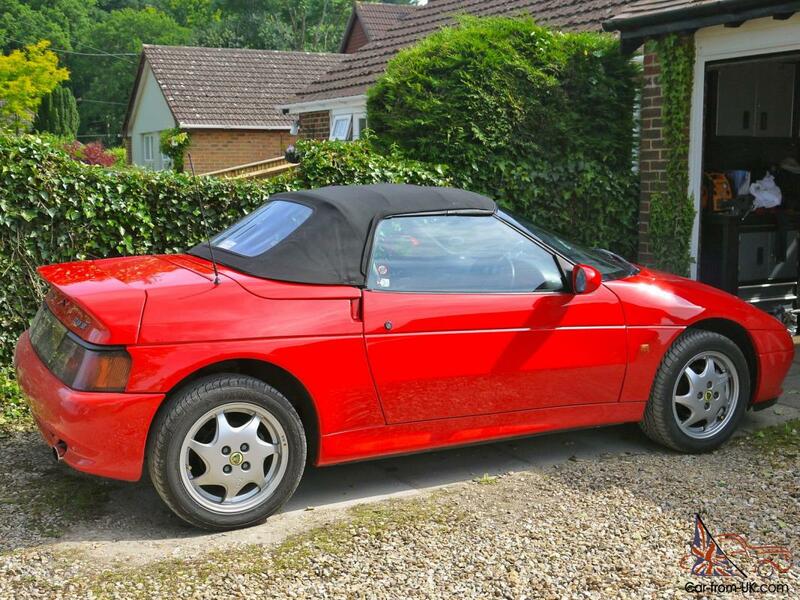 I would challenge anyone to find another Elan in this condition with this ultra low mileage of 18. 00 miles. 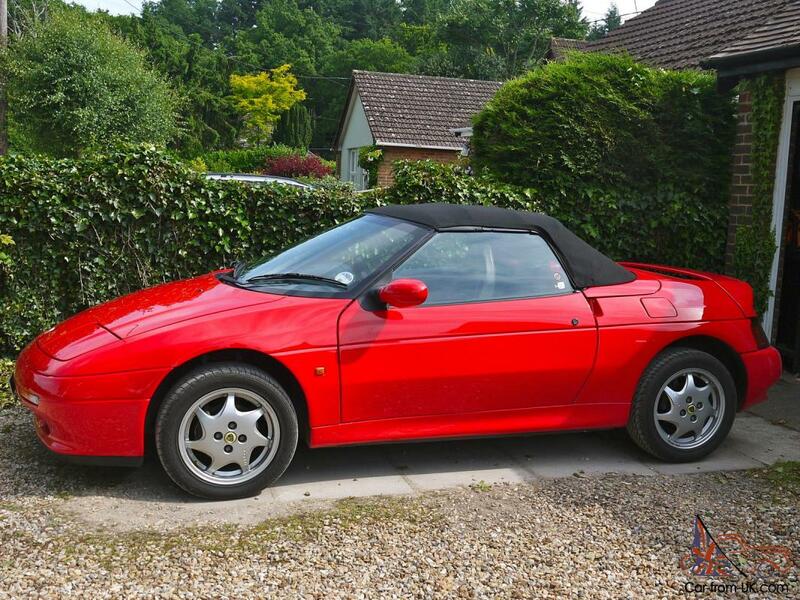 These Elans are starting to be really noticed in the Classic car market and their value can only go upwards. 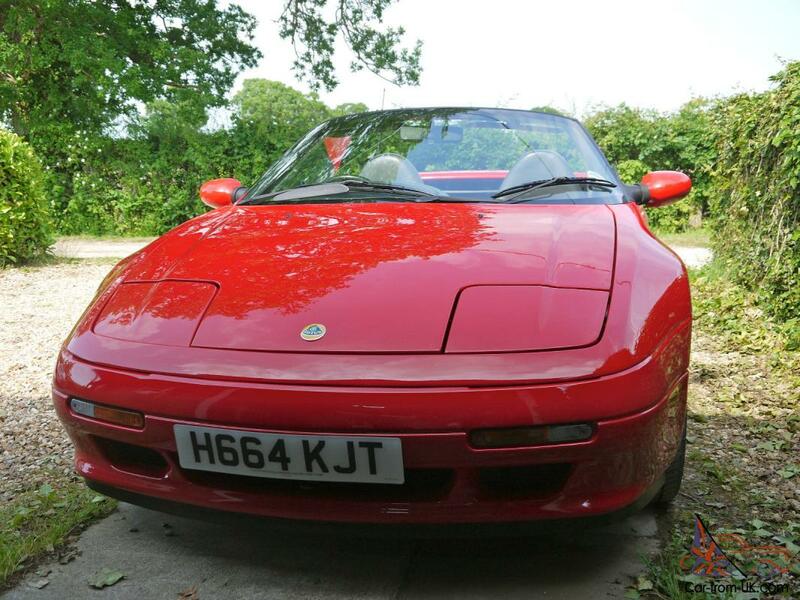 After taking some advice from a couple of Lotus Classic car dealers I have placed a realistic reserve on the Elan. I have quite a few other photographs of the car that I could foward if required. 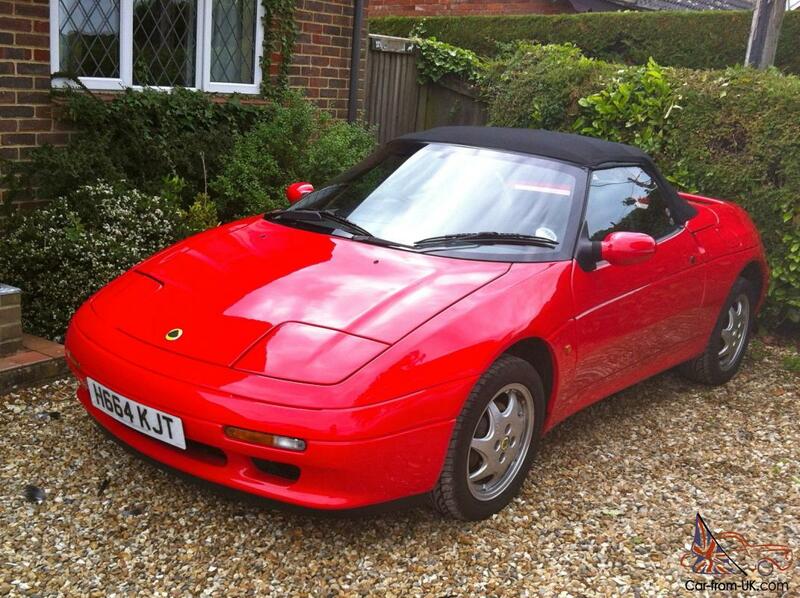 The car is based near Southampton and I will be only to happy for a potential buyer to come and view. Please no bids from outside the UK or if you have a very low or poor E-bay feed back. The winning bidder will deposit £250. 00 via pay pal within 24hours from the end of the auction. With the balance to cleared in full via bank transfer. cheque or cash before collection of the car. Does it have air conditioning ? Does it have service history book? Original handbooks , sale invoices etc? Hi there, Isnthis car still available.